The new exhibition at the Metropolitan Museum of Art’s Costume Institute, PUNK: Chaos to Couture, is a fantastically dark re-infiltration of the quiet Upper East Side, following the footsteps of the Museum’s successful Alexander McQueen retrospective two years ago. 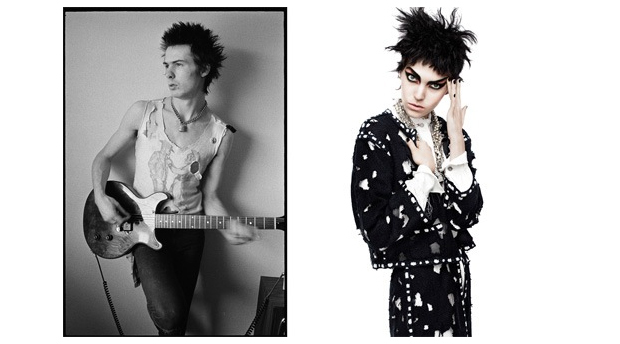 Curated by Andrew Bolton, the current exhibition traces the evolution of the punk aesthetic from rock and roll origins to its pervasive influence on high fashion, and features edgy pieces on view from noted designers such as Thom Browne, Nicolas Ghesquière (during his time at Balenciaga), Rei Kawakubo, Gareth Pugh, and more. So for the first (and probably last) time, pull out a pair of ripped jeans, and take the 6 train up 86th street for a metropolitan education in tough fashion.